The gong target Mini Popper is a mini-version of the classic target equipment that is widely used to equip professional galleries and military sites. 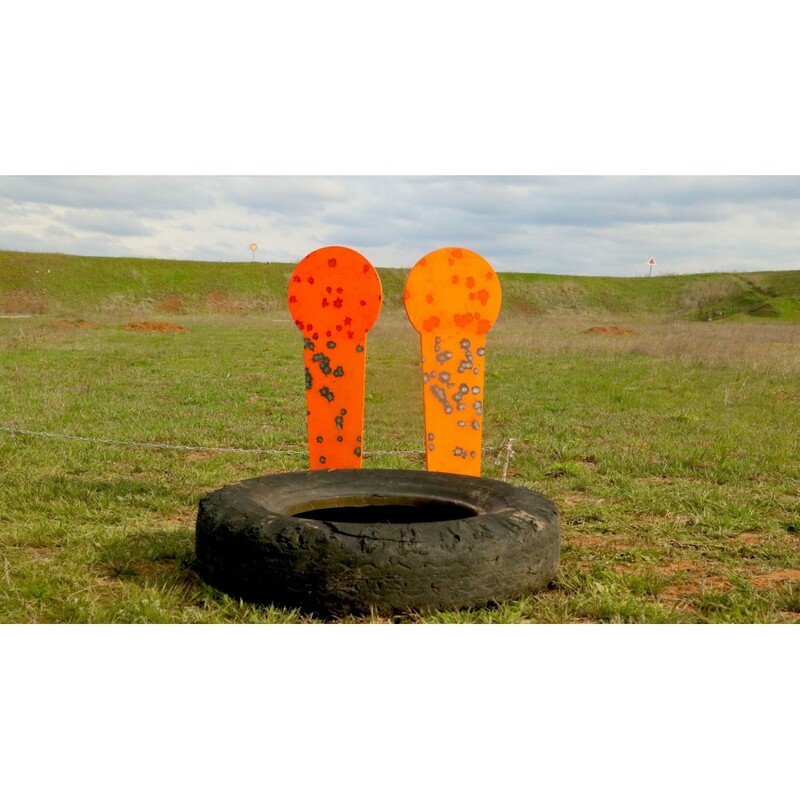 A compact steel target is suitable for training on the road and in smaller shooting galleries, where each centimeter of space counts. 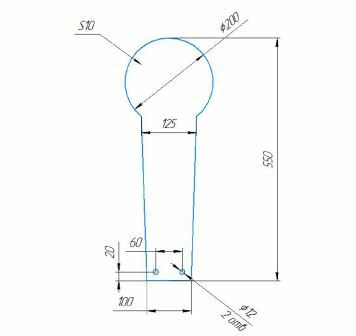 The target equipment of Velmet meets the international standards and has already managed to get a lot of positive evaluation from experts and consumers. If you still do not have practical and durable metal targets, attentively look at the range of Velmet.ua online store! Durability. Velmet steel ARM550 is used to manufacture the target equipment. After giving the desired shape, a target gets hardened by using a special technology - Triplex, which allows receiving a metal target with a hard outer shell and softer inner layer. This target can long resist the shots without the formation of micro cracks on its working surface. Usability. 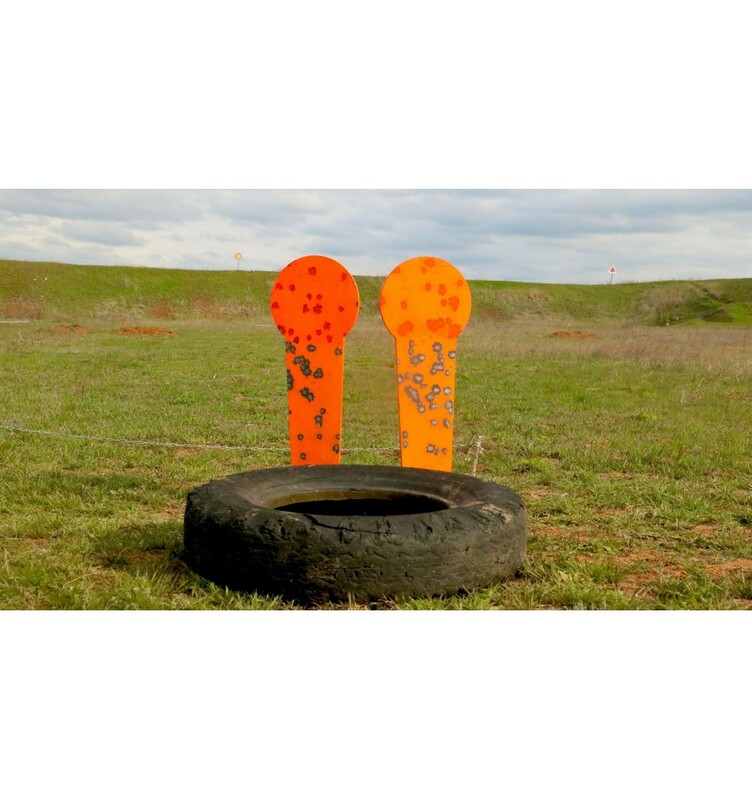 The steel targets, gongs, which can be purchased on Velmet.ua online store, bring efficient distribution of training time, avoiding the need to often replace paper targets and check the accuracy of results. The characteristic sound effect of metal hitting is the evidence of hitting the target. Compact size. The gong target Mini Popper has a compact size and ergonomic shape. The lower part has a small stand, which forms the whole piece together. The weight of a gong is 6 kilograms, so its installation and transportation from one place to another will not require serious efforts. Would you like to buy gong targets in Ukraine at affordable, reasonable prices from the manufacturer? Take advantage of our Velmet.ua online store. We guarantee that our products have high quality and meet the international standards. We are constantly working on updating the range of products, including new online models of body armor, tactical clothing and equipment, backpacks and bags, and of course, the target equipment. Take the opportunity to adjust the delivery of quality equipment from the Ukrainian producer, who values ​​the trust of clients and excellent reputation!